2017 was a tough year for Ant McPartlin, as well as his nearest and dearest. The TV stalwart checked into rehab this summer – battling an addiction to prescription drugs and painkillers – and reports suggest the ordeal has put a strain on his marriage. Amid rumours of divorce, Lisa Armstrong – who has admirably chosen to remain quiet on the subject – has shared a farewell message to 2017, waving goodbye to a rubbish year. Literally. Using a Bitmoji avatar, Lisa shared a cartoon depiction of herself taking out the trash that was 2017. Of course, New Years Eve is a time for reflection and for McPartlin family, 2017 was difficult to say the least. In fact, rubbish is kind of an understatement. Far be it for us to assume what’s going on behind closed doors, members of the family have said the pair, who were married for 11 years after meeting on the Smash Hits tour in 1994 when Ant was 18 and Lisa was 17, have been living separately. Ant has had a dreadful year, but Lisa has gone through hell too. The intense pressure of the situation left her emotionally drained and was really taking its toll. Back in October she was terribly stressed and worried and seemed to be carrying the weight of the world on her shoulders. It was clear to those close to her she was brokenhearted. But it’s obvious she’s been so much happier since they’ve been living apart – especially when he flew to Australia to film I’m A Celebrity. Ant bravely battled his addiction and got back to good health, in order to carry out his presenting duties with lifelong partner and friend, Declan Donnelly, after Dec refused to host without Ant. 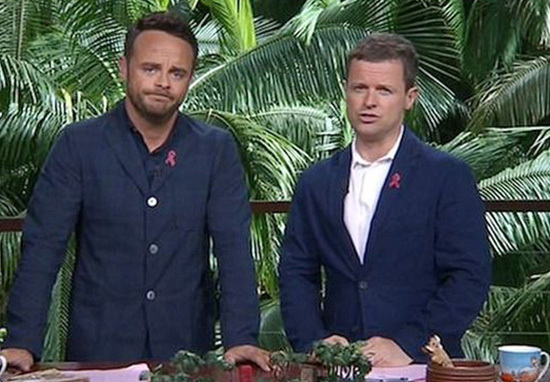 The took to the jungle once again to present ITV‘s I’m A Celebrity, Get Me Out Of Here and pulled it off with their usual flair and comedy stylings. In November, when Ant was out of the country, she had some real breathing space and could just get on with her life and career. She started to feel stronger – like her old self again. She’d been moody and snappy but when he moved out she changed overnight… a different woman. It’s not that she stopped fighting for their marriage. Lisa fought her heart out and stood by Ant through all of it because she loves him dearly and wants him better. But, quite understandably, she doesn’t want to go back to living like they were before. The thought of being put back through all that stress must scare her. Everyone who knows them respects that. From what I can gather it’s pretty much over for her and she’s just trying to get on with her life. 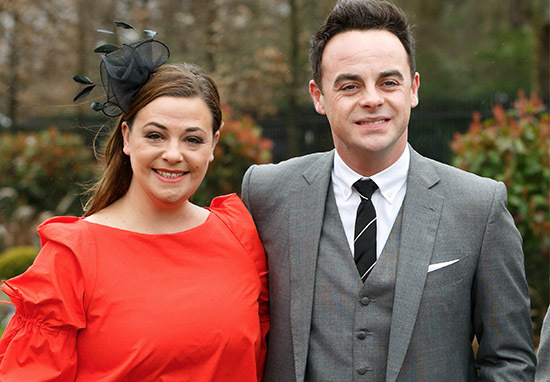 Fans have since shared messages of hope and support with both Ant and Lisa, reminding them to ‘stay strong’ at such a difficult time.